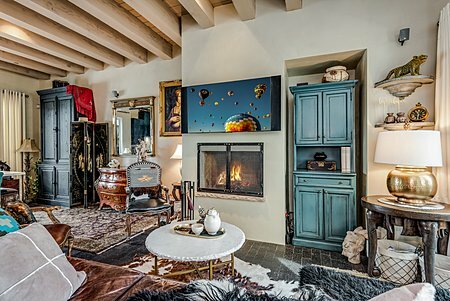 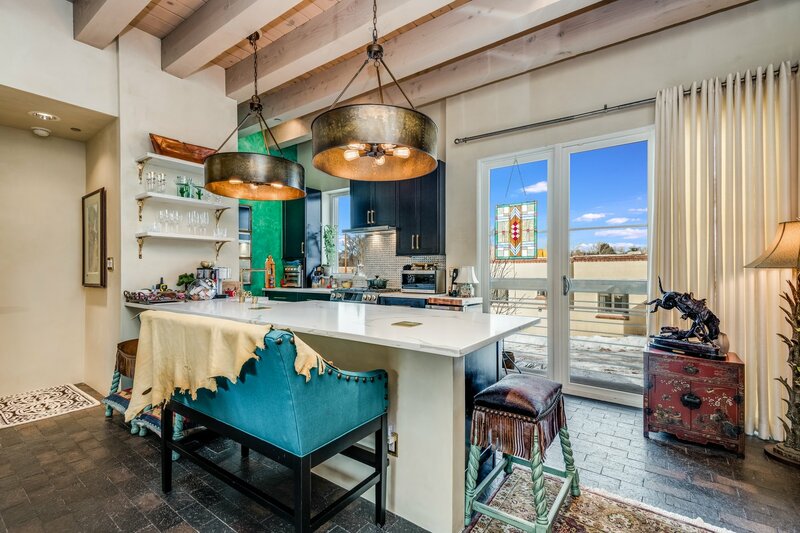 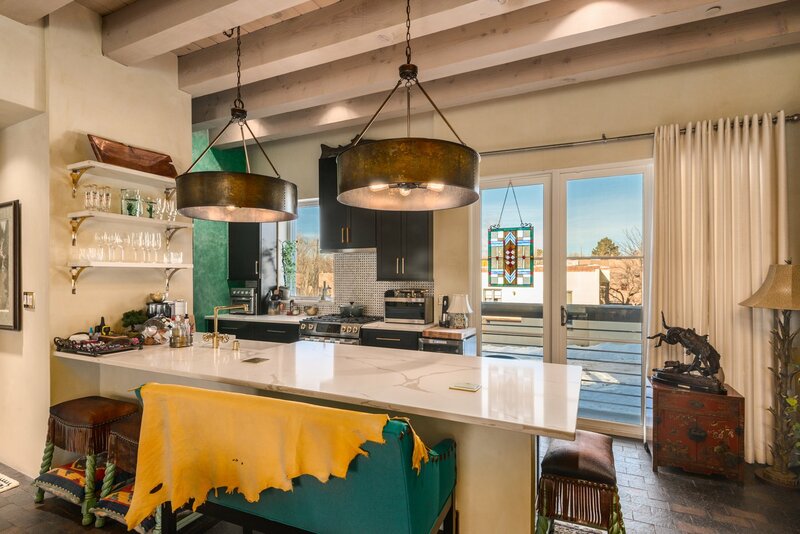 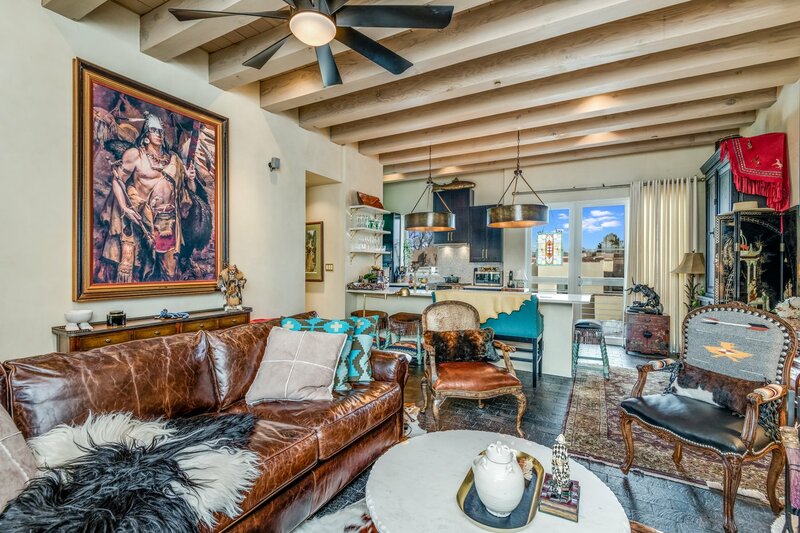 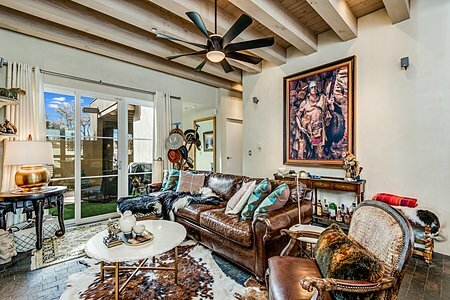 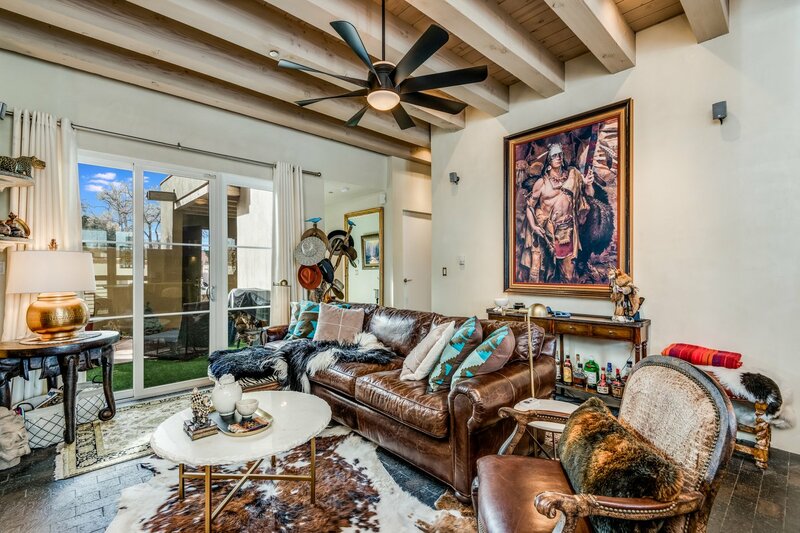 Designed by Santa Fe architect Trey Jordan in 2005, this contemporary 3 bedroom and 4 bath condo is just minutes from the Plaza. 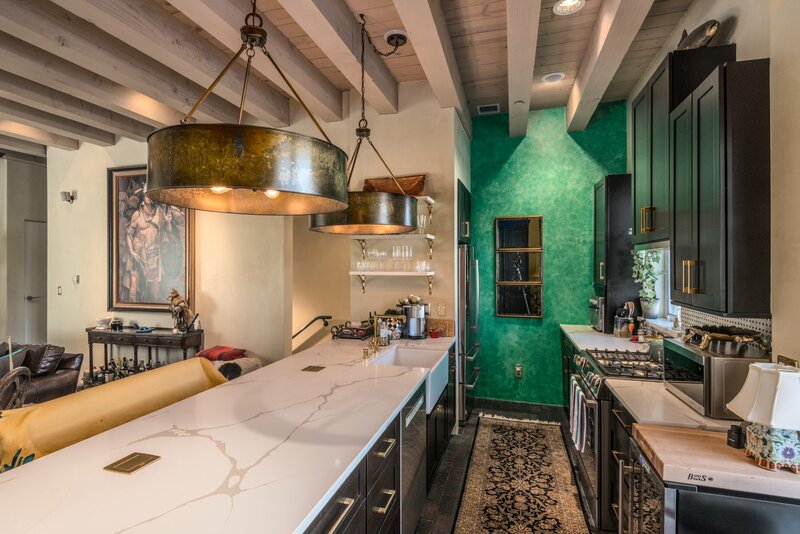 With a remodel completed in 2017, you'll find clean lines, high, wood-beamed ceilings, brick floors, re-plastered walls, and high end finishes throughout. 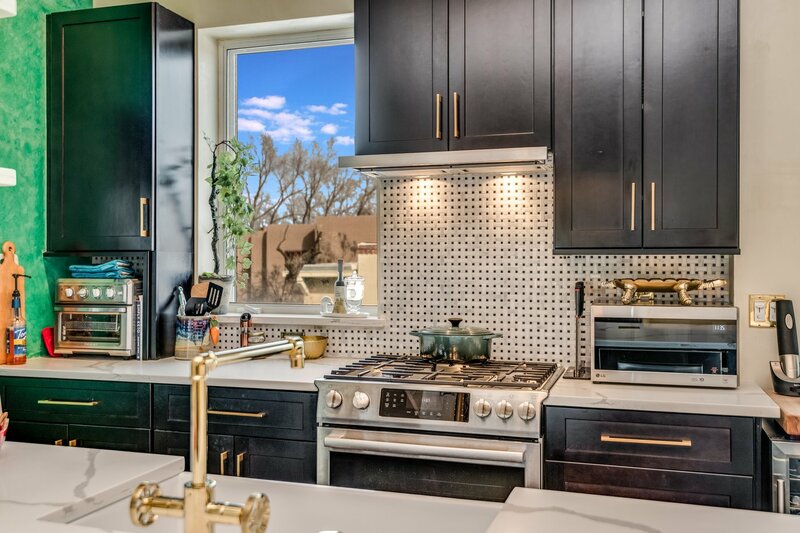 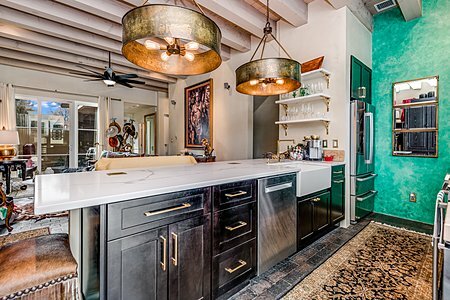 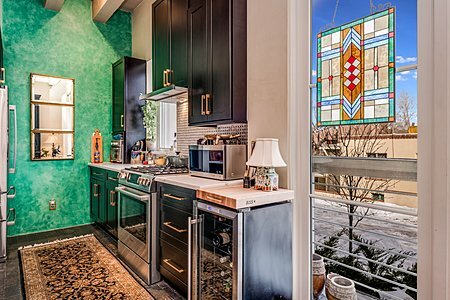 The redesigned kitchen has custom cabinets, quartz counters, marble tile backsplash, brass chandeliers and Bosch appliances. 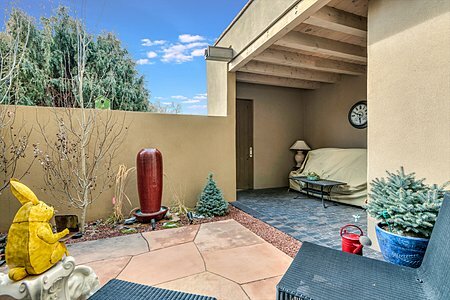 The creative floor plan with living/dining on the main floor has a courtyard with fireplace and landscaping with a flagstone patio and fountain, perfect for alfresco dining. 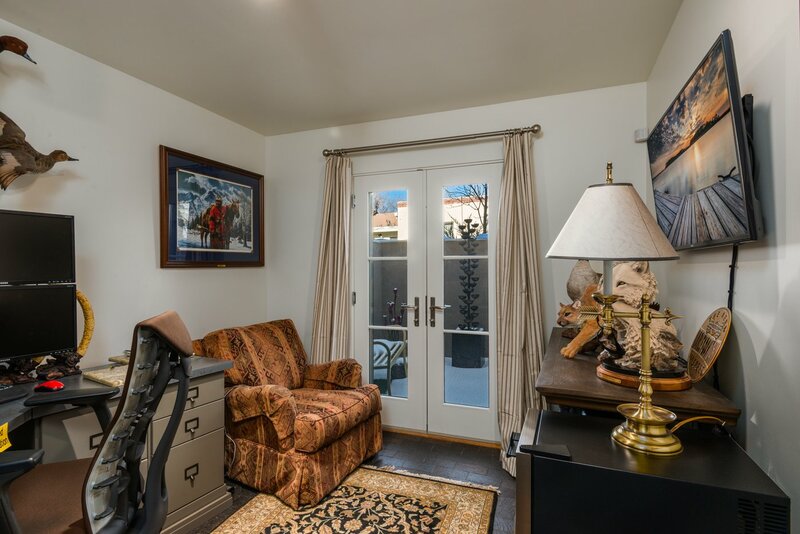 The main floor has a balcony, sliding doors and a 6-speed ceiling fan facilitates air flow throughout. 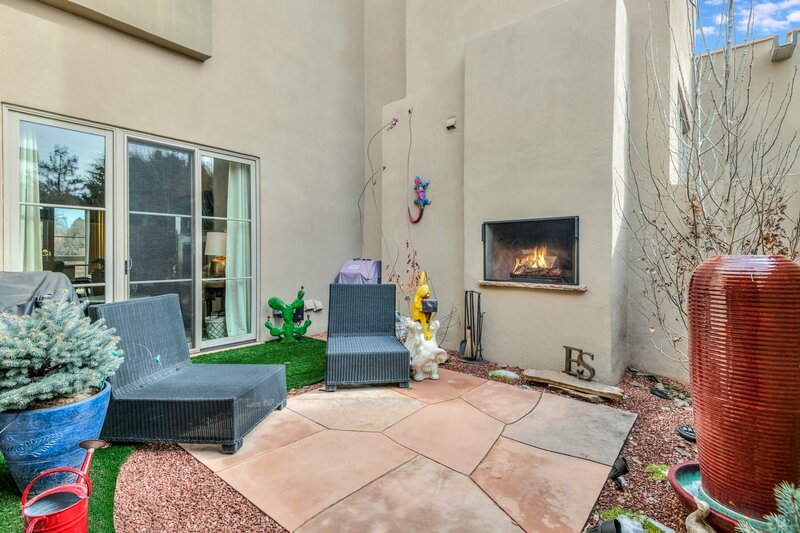 The stone accented fireplace adds ambience to the light filled living room. A mudroom, 1 car garage and storage room are on the lower level. There's a laundry area and third bedroom currently used as an office with a half bath and gated landscaped courtyard with a fountain. 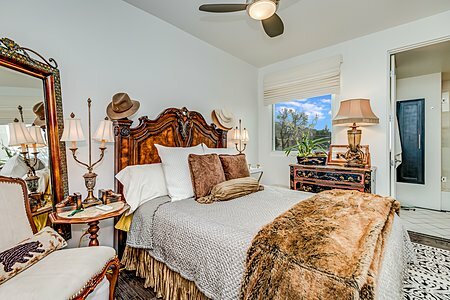 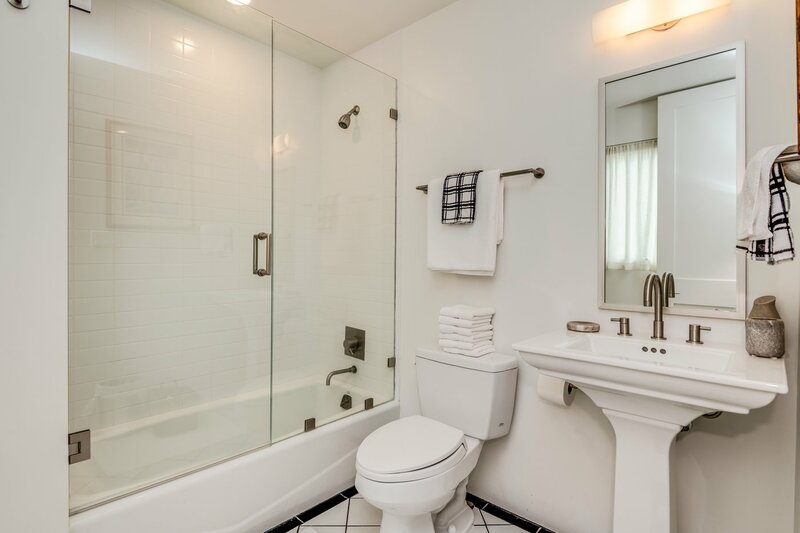 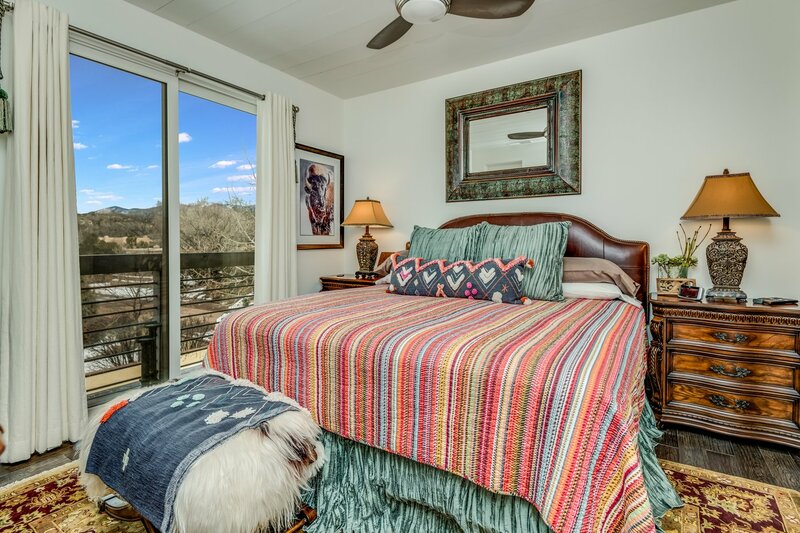 The top floor, with wood floors in the bedrooms, boasts 2 ensuite bathrooms with tile floors, refinished cabinets and recent glass enclosures in each bath. 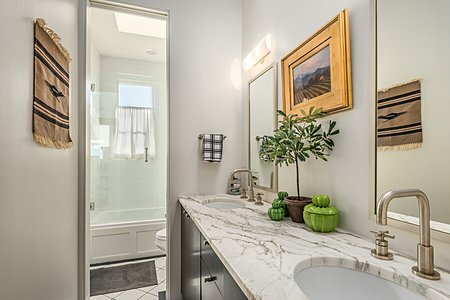 The master bath has jacuzzi tub. A new boiler was installed in 2017. 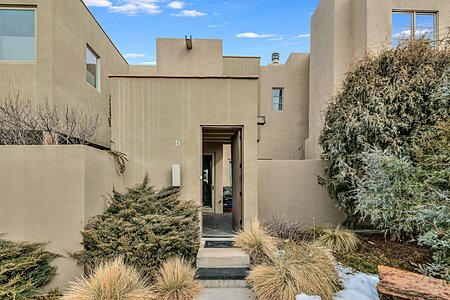 There's a heated driveway with a sensor. 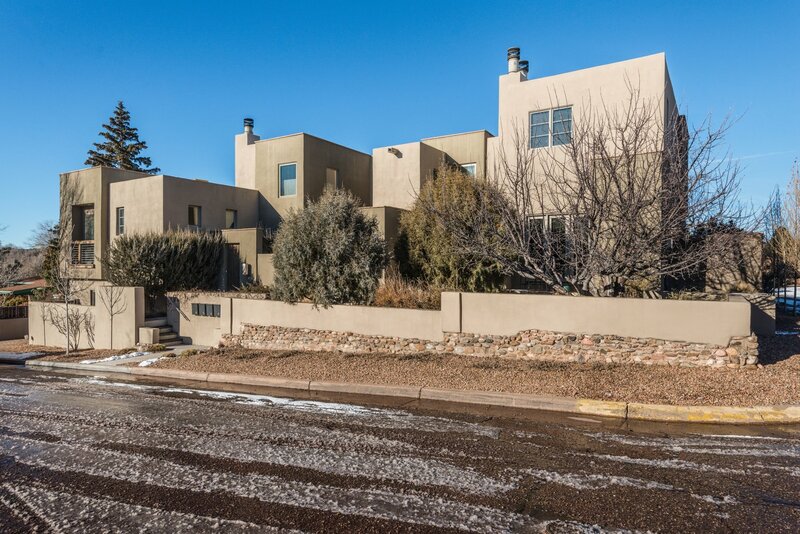 Easy access to hiking trails, Ten Thousand Waves, the Santa Fe ski area and Ft. Marcy recreation center is just one block away. 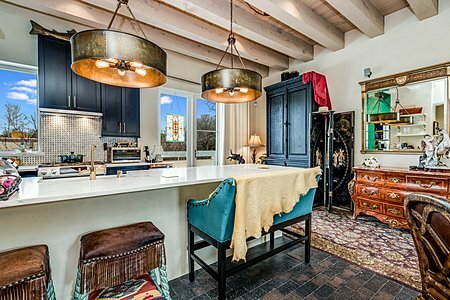 The striking clean architectural design and central location provide an opportunity for a delightful downtown Santa Fe living experience.